Get a gorgeous glow—and reduce the risk of breakouts and inflammation, too. We're probably all guilty of it: holding on to a makeup bag full of products of uncertain vintage. But how bad is it, really, to use old or expired cosmetics? “At best, the product may smear or not give even coverage. At worst, you could give yourself an eye infection, or bacterial infection of the skin, such as staph,” says dermatologist Dr Ava Shamban. Yikes! We spoke with makeup artists, dermatologists, and a cosmetic chemist (yup, that’s a thing!) to find out what else might happen to your skin if you use expired makeup. Plus, how to tell when it's time to chuck a product and how to organise your makeup stash so you can actually keep track of how long you've been using each thing. All cosmetics come with an expiration date (check the packaging or the bottom of the product) that indicates their shelf life. But these expiration dates are really just for unopened products, says David Pollock, a beauty chemist. 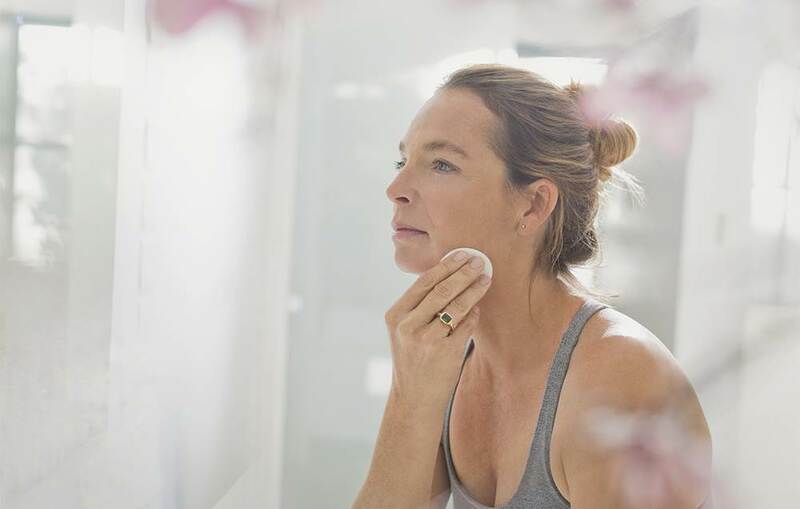 “Consider the date of when you open and start using a product the countdown for when you should toss it,” advises cosmetics brand founder Julie Fredrickson. Other makeup can last a bit longer. “Foundation, especially if it is in a pump bottle, can last up to two years,” says Shamban. Face powders, blush and other products applied with a brush should be discarded after 6 months, says Shamban, even if you’re diligently washing the brushes. After around 12 months, Fredrickson recommends putting BB creams, concealers, and foundation out to pasture. That’s around when the ingredients break down and separate in the packaging. “At that point, you don’t want to attempt to mix it back up—it isn’t salad dressing, after all!” she says. A product's consistency is one way to know when a product is on its way out. The scent is another. "Old mascara has an unpleasant fishy odour," says makeup artist Joyce Connor. And, in general, anything that smells rancid or sour should not be kept. "If [a foundation or concealer] is malodorous, dispose of it immediately," Palm says. What happens to cosmetics when they’re past their prime? As makeup ages, it loses hydration or separates (giving it that oil-and-vinegar salad dressing look). This makes it less effective—and also changes how it sits and looks on your skin, says Palm. "Older formulations may cake and settle in pores or fine lines," Palm says. "Your skin will feel cleaner and less clogged when you use new makeup products," Connor agrees. "Old makeup feels cakey on the skin so your skin can't breathe through it. When you wear old makeup, you can feel it sitting on the skin, and it's harder to blend," she says. Plus, you won't need to apply quite as much makeup when it's new, Connor adds, which is both a potential savings (less product!) and better for your skin. Discarding old or expired makeup will also help you avoid a potential skin infection or acne-like breakouts, Palm says. Whether you use an applicator or your fingers to put on products, you're introducing bacteria back into the container with each usage. "Every time you open a skincare or makeup item and touch it, you're exposing the product to contamination, and, in turn, your skin," says Pollock. "Any product that has an applicator is more prone to have a shorter shelf life because every time it is used, some bacteria are introduced back into the original container. By the same token, using your fingers to remove a product from a jar will also introduce bacteria and fungus that are normally present on the fingertips into the product," Shamban says. All of this is hard on your skin, potentially exacerbating acne and rosacea, clogging pores, or causing inflammation. And, as ingredients break down or change over time, your skin may have an allergic reaction, leading to itchy, red or irritated skin, Palm points out. So, what's the answer? You probably could see this coming: All our experts agreed that when it comes to makeup, less is more. With fewer products on hand, you're more likely to use them up before they go bad, says Palm. A stripped-down makeup collection that includes only daily use (and maybe a few special occasion products) is a time-saver, too. "With fewer products in your bag, you spend less time hunting in the vast abyss of your makeup satchel for your eyeliner or concealer," Palm says. "Things also tend to be cleaner, as you have fewer containers, bottles, and tubes rustling around in your bag, creating a collision course that ends in cracked eyeshadows, loose powder, and pigment residue at the bottom of the bag." Connor recommends keeping an eyeshadow palette with multiple colours on hand and just one mascara (and discarding it after 6 months). "Learn how to do your basic look with 5 products: powder foundation or BB cream, eyeliner, eyeshadow, mascara and a lip-and-cheek tint. Then add bronzer, highlighter, or setting powder if needed," she says. "This will keep your makeup bag more compact, and you'll use the products before their expiration date." 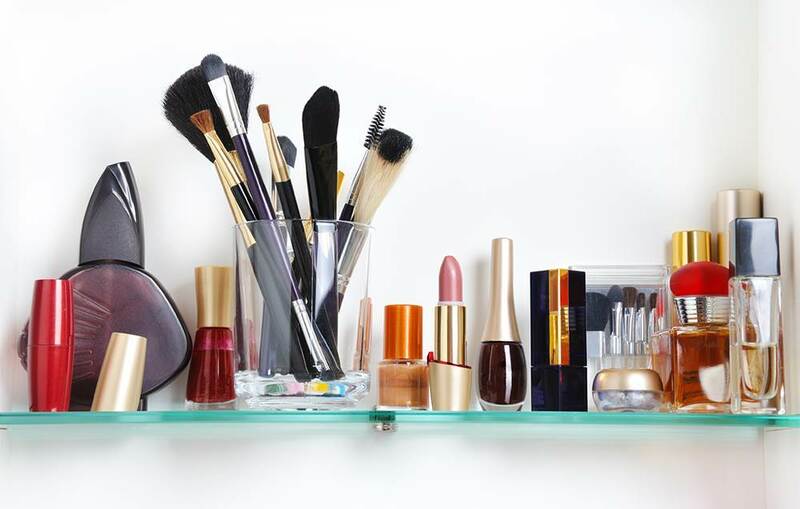 Having a storage system—like a brush and makeup organiser—keeps makeup organised and visible, which encourages usage, says Lynda Esparza, a professional makeup artist. "It also forces you to keep a minimum of products as well. When an item doesn't fit, that's a signal to toss out products that are expired or that you're no longer using." Bottom line: For products that perform at their best—and don’t cause irritation, infection, or breakout—go with the "use it or lose it" credo. Or, as Shamban puts it, "Don’t be penny wise and pound foolish! Replace your makeup on a regular basis."